Last year, Provost Joyce Jacobsen lowered the cost of private music lessons from $795 to $780, eliminating a $15 surcharge on the music lessons course fee that was implemented in the early 2000s. Jacobson’s decision to lower the cost was prompted by an inquiry brought forth by former guitar teacher Carver Blanchard, who was then serving as the University-appointed representative for Private Lessons Teacher (PLT). Shortly after Jacobson disallowed the fee, she emailed Blanchard to notify him that his employment contract would not be renewed for the upcoming academic year. The email came five days after the Music Department recommended him for re-appointment, and 38 years after he began teaching guitar and lute at the University. The question of how and why this happened yields no simple explanation. Since Jacobsen has at-will prerogative to dismiss non-tenured employees without providing a reason and cannot comment publicly on personnel matters, it is difficult to determine the reason behind Blanchard’s dismissal. Blanchard, however, believes that his denial of reappointment was retaliatory, based on his conduct as private lessons teacher representative. The PLT representative is a year-long, unpaid, University-appointed position. As PLT representative, Blanchard was responsible for acting as a conduit between the PLTs and the administration and for voicing the questions and concerns of his fellow teachers. Private lessons are the only courses at the University that students must pay to take, and throughout most of the program’s history, teachers have earned the entirety of the fee students paid. In running the program, the University neither made nor spent any money, maintaining a revenue-neutral policy for the program. In the early 2000s, however, an additional $15 fee was tacked onto the private lessons rate, though it is unclear who implemented the surcharge. For many years, the change went largely unnoticed by students and teachers alike. To students, the surcharge appeared indistinct from the primary course fee, an incremental and unremarkable rise in cost. To teachers, who continued to earn the same wages, nothing seemed different. But for the first time in the program’s history, there was a part of the private lessons tuition that was not being paid to teachers. The program began earning between $2,000 and $5,000 per semester, but it was unclear how the money was being spent. When Blanchard became PLT representative in the fall of 2017, several of his colleagues asked him to look into why the surcharge existed and whether or not it was actually necessary. 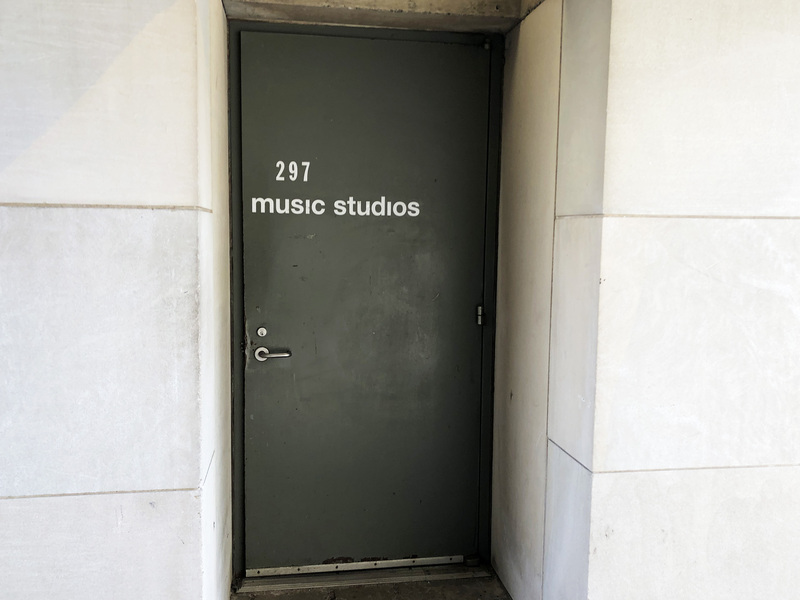 Part of the fee’s purpose was revealed to Lombardozzi about ten years ago, when he received an email from a retired Music Department administrative assistant (AA) that questioned the need for its continued existence. After receiving this email, Blanchard set out on a mission to discover how the course fee was being spent, first approaching the department’s two current AAs. Blanchard said that the AAs met his inquiry with resistance and insisted that he had no right to know how the money was being used. “So [he] didn’t take ‘I’m not telling you anything you have no right to this information’ too kindly, because that’s what [the AAs], in essence, said: You don’t have the right to know anything. He just kept looking,” Lombardozzi said. According to the AAs, they never denied him the right to investigate but rather referred him to Department Chair Paula Matthusen. They didn’t want to go over Matthusen’s head and provide Blanchard information without her consent. When Matthusen couldn’t give Blanchard the answer he was looking for, he moved on to North College, asking people at many levels of the administration, from registrar assistants to student account administrators to the associate provost, about how he could get to the bottom of this. The current AAs, who requested their names not be used in this article, told The Argus that all the money gathered through the additional fee has gone toward students and has been used in part to cover financial aid for students taking music lessons. They found Blanchard’s insinuation that there was a misappropriation of funds troubling. “So do they really feel as though there’s a pot of money sitting around somewhere?” one of the AAs asked. In mid-October, Blanchard received an invitation to attend a Music Department meeting, where he hoped he would be able to voice his concerns and receive answers. But according to Blanchard, he was told by Professor of Music and African American Studies Jay Hoggard that he would not be allowed to address the department. Hoggard has dismissed these statements as inaccurate in an email to The Argus. On Nov. 1, 2017, Associate Provost Mark Hovey sent Blanchard an email reiterating that the manner of his inquiry was making some people uncomfortable and that he needed to stop searching for answers within the Music Department. Eventually, Provost Jacobsen became aware of all that had happened concerning Blanchard’s inquiry into the fee. But prior to learning about Blanchard’s concerns, Jacobsen did not know the fee existed. According to Jacobson, the fee had been redirected to the Music Department’s budget and had been used to cover the overhead costs that it takes to run the department, namely the hours the AAs spend coordinating private lessons and financial aid. Jacobsen decided to disallow the fee partly because the University is much wealthier now than it was 15-20 years ago, explaining that the department no longer needed supplementary funds to cover overhead costs. Both the associate provost and the AAs said the fee has never been used to supplement their salaries. The AAs said that financial aid is one of the central purposes of the fee. But the University registration records for private lessons are not public, and without any data on how many students were enrolled and how much aid they collectively received, it’s impossible to determine whether or not the program turned a profit at the end of the year or if the funds were used entirely for aid. But there is also a separate financial aid account set aside for private lessons students, which, according to Hovey, is the fund used to pay for all lessons of students receiving aid. To Hovey’s knowledge, the surplus money in the PLT account never moves. An AA reiterated this. Hovey explained that at the end of the year, the Music Department turns over supplementary funds to the University. The financial aid account is funded by the University budget. Jacobson disallowed the fee before the Spring 2018 semester, a decision that took effect this semester. At the beginning of the Spring 2018 semester, Jacobsen called a meeting with all of the private lessons teachers to provide a platform for the teachers to voice their desires and concerns regarding department affairs. The surcharge was not permitted to be discussed at this meeting. About a month after the meeting, Blanchard received the email from Jacobsen notifying him that he would not be reappointed as a private lessons teacher for the following school year. In an effort to find an explanation for what he saw as an abrupt and unwarranted dismissal, he responded to the provost. In response, Jacobsen clarified that the Music Department’s recommendation to rehire Blanchard did not constitute a reappointment and that, as the provost, she had final say in all academic appointments. As word of Blanchard’s dismissal spread throughout the Music Department, so too did word of the controversy surrounding the fee. Several private lessons teachers were shocked and upset, concerned by how opaque the whole process seemed. Lombardozzi was also upset to hear that Blanchard had not been re-appointed. He wondered if decades of loyalty mattered in the face of a one-year contract, if allegations of misconduct should carry more weight than performance as a teacher. John Spencer Camp Professor of Music Neely Bruce, who was responsible for recruiting and hiring Blanchard back in 1979, felt similarly. Blanchard maintains that throughout the inquiry, his central concern was the fee and its implications. As soon as he either found an explanation or effectively had it revoked, he insists that he would have let it lie. Because Jacobsen cannot speak about personnel matters, she emphasized how important it is to remember that without her input—which she is not allowed to disclose—any version of this story will be incomplete. “The truth-finder, the reporter, can never really find the truth,” she added. Correction: A previous version of this article included a secondhand account of Jay Hoggard’s email and in-person correspondence. Hoggard has denied these statements.